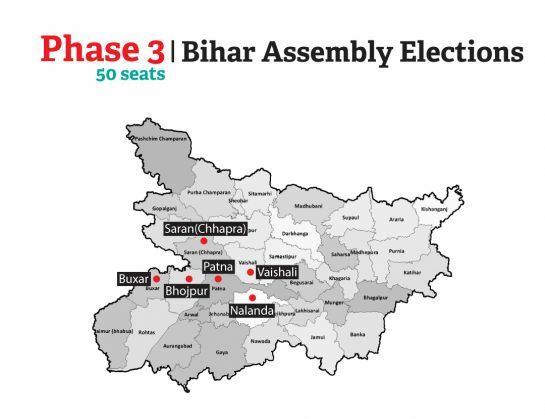 Polling for the third phase of the Bihar Assembly elections began today, covering 50 Assembly seats across six districts- Saran, Vaishali, Nalanda, Patna, Bhojpur, Buxar. A total of 805 candidates will be contesting for the 50 Assembly seats. Let's take a look at the 50 constituencies and candidates of the key political parties who will be contesting from them.